Everyone needs a money manager to manage their monthly expenses and income. It is very important to keep a track of your personal finance. Well, if you’re in need of a helping hand, then Spent Money is your best option. It is your ultimate expense manager, money tracker and receipt scanner that will help you manage all your fiscal needs. It permits entrepreneurs and freelancers to easily handle their day to day transactions and finances while getting cash back to increase a few bucks in their wallet. It allows you track spending, handle your purchases, keep a track of your receipts as well as submit expenditure reports live via the app. It has been specifically designed for people to manage their professional and business together while keeping their monetary transactions separate. The best thing about Spent Money is that it gives automatic cash back via online shopping or in-store purchases or just by linking your CC. Be it anything you shop for regularly, it will track back and provide you cash back. Truly, it is one of the best personal cashback app. When you’re looking for an iTunes expense manager app, you basically want it to keep a track of your deposits, expenses and receipts. Well, Spent Money does it flawlessly for you. It helps you import all your expenditures, organize them as professional and personal spending, create specific folders for expenses and then scan all the receipts. 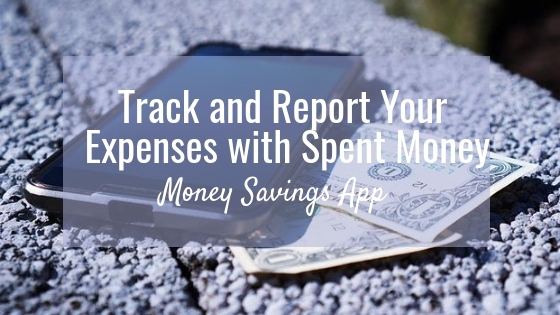 This google play weekly money tracker app isn’t just for simple income and expenditure updates. It is a complete business expense reporting software which allows you handle your company account. You can get a complete detailed evaluation of your spending habits and check your flow of expenses. So, if you’re a single entrepreneur and want something really simple and easy to use then, this is the perfect app for you. • It is a simple to use app which helps you manage your personal as well as business finances. • It has a receipt scanner. • It provides you with an additional profit of earning cash back. • It allows you to import your credit card and bank transaction on its own. • You can easily segregate your business and personal expenditure. • It can generate electronic receipt for purchases below $75. • By the end of the month, it will allow you to analyze your spending habits. It has a wide network so when you purchase anything related to home and office, dining or travel from its partners web, you can get amazing cash backs. If you’ve been looking for a reliable and efficient help for your fiscal management support, then Spent Money is your one-stop solution. It will help you earn cash back, organize your money and handle reimbursable expenditure. The app is available for free on Android and iOS. All you need to do is install it and manage your income and expenses without any hassle. You no longer have to maintain accounting books or hectic management software. Just install this one app in your phone and your whole month monetary transactions will be taken care of without any trouble. Enjoy a trouble free fiscal month - Go for trial now! I definitely need this! I always loose track of my expenses. Did you say that I can earn by snapping my receipt? Is this open for Philippines too?